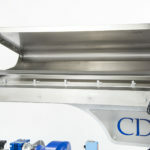 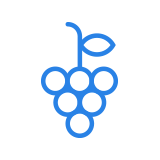 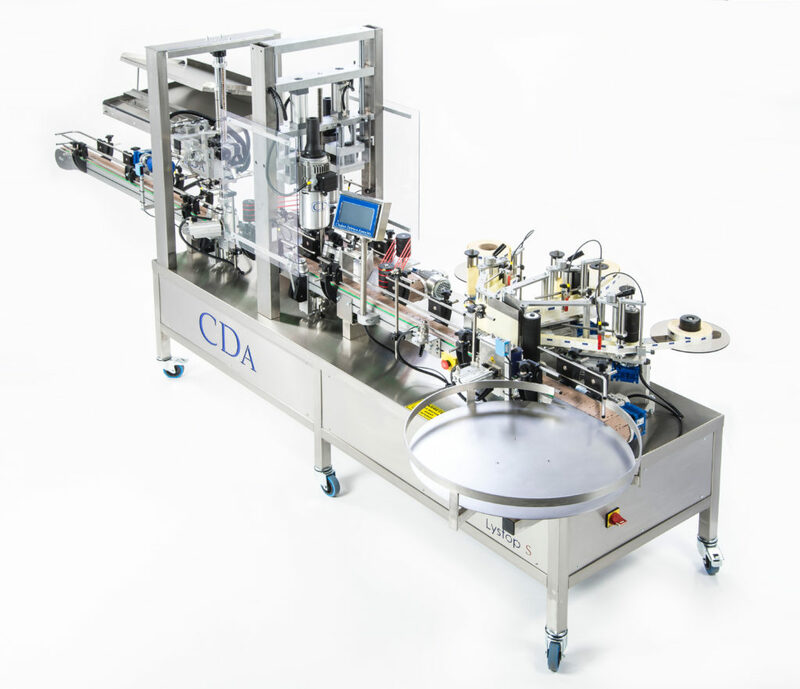 CDA’s LYSTOP S is an automatic labelling machine specially designed for the wine industry. 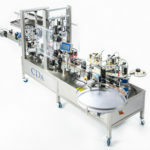 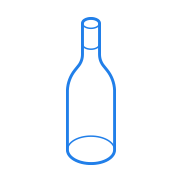 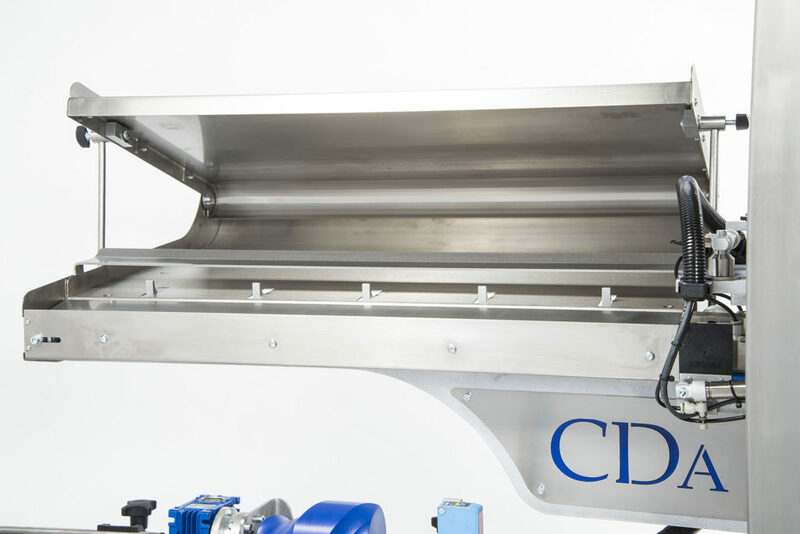 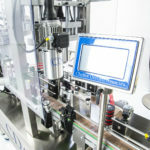 This machine applies up to four labels (label, counter-label, collar and medal) on wine bottles and allows the crimping of metal and/or PVC capsules. 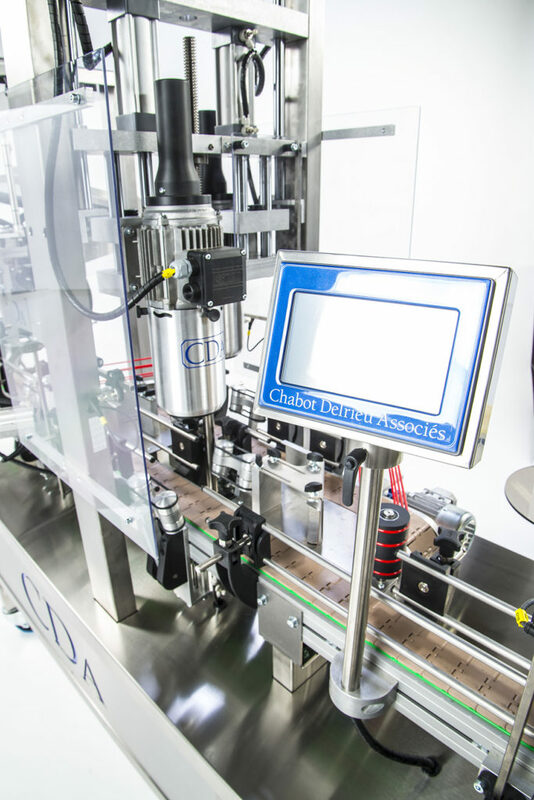 A timing system ensures fast and efficient bottle labelling, allowing up to 2500 bottles/hour to be labelled. 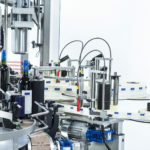 This automatic labelling machine impresses by its ease of use and its quick adaptation (without additional equipment) to the different sizes of wine bottles (from 1/2 to Magnum). 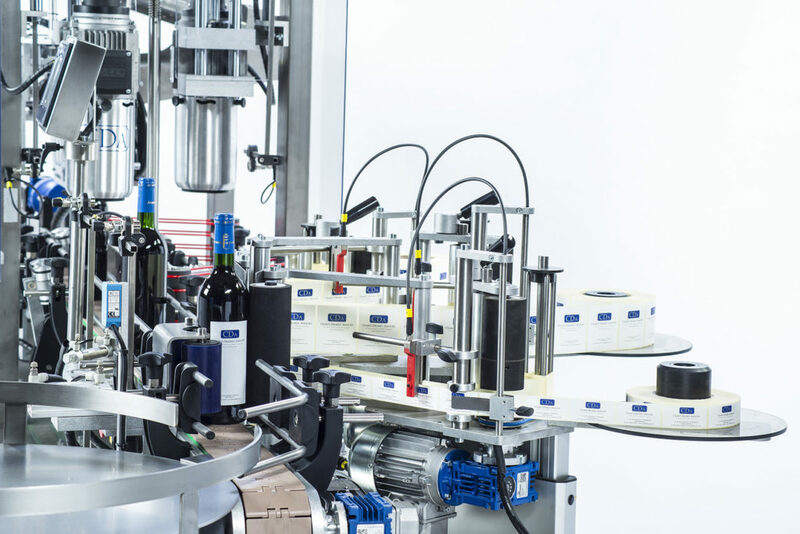 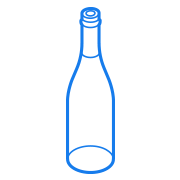 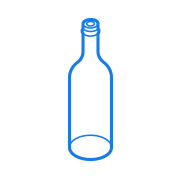 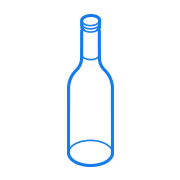 The LYSTOP S can be integrated into a fast throughput bottling line.